Shereen Bhan has an experience of 15 years, 14 of which were spent in tracking corporate, policy news and events that defined the business landscape in India. 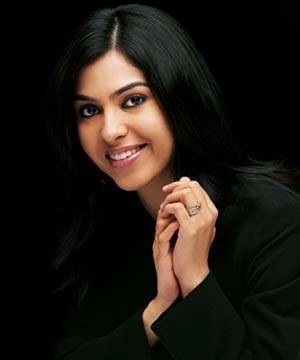 She began her career working as a news-researcher for Karan Thapar in his production house Infotainment Television. She joined UTV’s News and Current Affairs division and produced shows like We the People for Star TV and Line of Fire for SAB TV. She joinedCNBC-TV18 in December 2000. She has been responsible for breaking a range of news stories that have redefined the Indian economic landscape in recent times and has also interviewed some of the biggest names in business and politics, both domestic and global. Shereen is also the Anchor & Editor of Young Turks, one of India’s longest running shows on entrepreneurs – a section that over the last 13 years has successfully built a niche category in business news programming. She hosts Overdrive[ which won the News Television Award for the ‘Best Auto Show’ for three consecutive years. She heads the channel’s special feature programming that carries several pioneering shows such as Ministers of Change and What Women Want. Over the course of her 14-year tryst with business journalism, Shereen has been the recipient of the ‘Best Business Talk Show’ award at the News Television awards for two years consecutively. She also won the ‘FICCI Woman of the Year’ award for her contribution to the Media in 2005, and was named a ‘Young Global Leader’ by the World Economic Forum. She won the ‘Best Business Anchor Award’ at the ‘News Television Awards’ in 2013. Bhan anchors and produces several shows like Young Turks, India Business Hour, The Nation’s Business and Power Turks. She also anchors and puts together CNBC-TV18’s ground events like the Managing India brainstorm and the CNBC Industry Vectors.